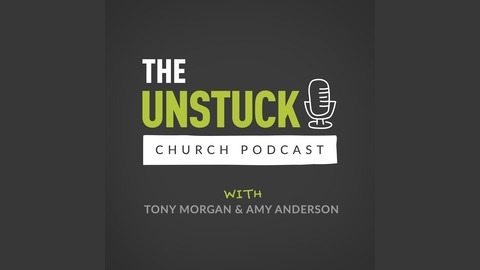 With THE UNSTUCK CHURCH PODCAST, we invite you into the real-time conversations our team is having about church leadership every week. Hosted by Tony Morgan, this podcast explores common challenges in ministry and practical steps for tackling them. It’s like getting to be a fly on the wall of our staff meetings. Tune in weekly for: Insights, observations and trends for church leaders from Tony Morgan. Benchmarks in church growth and health from The Unstuck Group’s work serving hundreds churches across North America each year. Practical advice to help you lead your church towards sustained health. 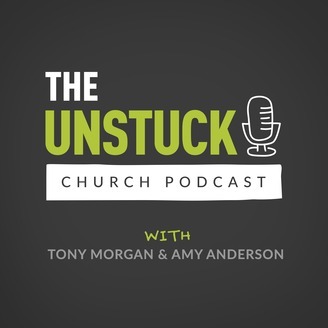 We think that after listening to The Unstuck Church Podcast, you’ll want to start these discussions with your own team at your next staff meeting. Add your thoughts to the conversation on social media using #unstuckchurch. What does "engagement" really mean? We hear that word buzzing among church leaders, but it's kind of a loose term. You could define engagement however you want. In this episode, Tony and Amy shared a few of the findings that jumped out at us—namely, the differences growing and declining churches are seeing in terms of engagement. For the full episode transcript, links mentioned during the show, and to download the Leader Conversation Guide, visit this episode's Show Notes at theunstuckgroup.com/episode90. If you're catching this episode later, you can still join in! Just tag us @unstuckgroup or use #unstuckchurch, and include [episode90] in your post for reference. ----- Learn how we help churches get unstuck at theunstuckgroup.com.